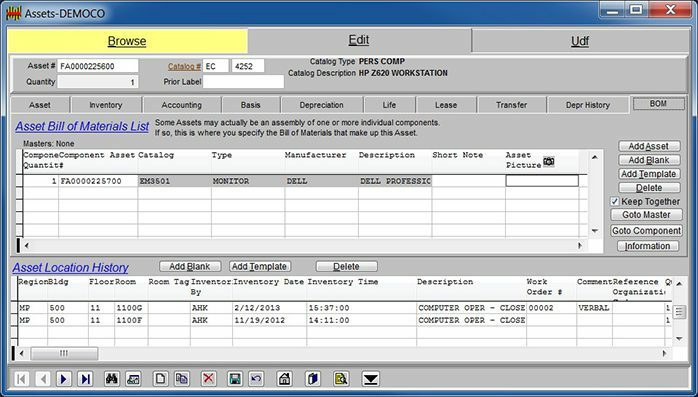 Bar|Scan® can be implemented as a stand-alone database repository or as a front end to your IT Lifecycle Management or Fixed Asset Accounting System. We support a wide variety of the latest handheld PC’s with scanning capability including Microsoft® Windows Mobile™ with WiFi capability. Bar|Scan® has a menu driven SQL based report generator and a menu driven, ODBC capable, import and export feature built in. There is no need to customize software or scripts to meet your interface expectations. Bar|Scan can grow with you. Modules such as Work Order, Accounting, Imaging, and Web delivered SmartClient can be added at any time to meet new requirements. Bar|Scan uses Windows Portable Device (WPD) platform technology. It requires a Windows MTP (Multimedia Transfer Protocol) USB driver to be installed on the PC and must be configured to allow and support Tcp/Ip communications over port 10200 between the handheld, the attached PC (when using a cradle) and the PC or communicating with the Handheld device. Using Microsoft ClickOnce deployment technology, the Bar|Scan Smart Client can be installed throughout your environment for quick access to your Bar|Scan assets. 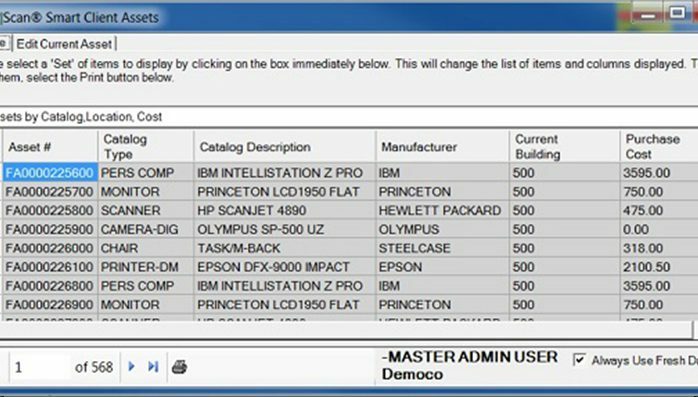 Once installed, users can browse, sort, add, edit or print assets. Filters can be assigned by user password so that only assets in their area of responsibility are accessible. Bar|Scan Smart Client server will not run on Windows Server 2003 64 bit. The BarScan Smart Client server portion requires explicit assignment of a 32 bit Application Pool within IIS (Internet Information Services) on 64 bit versions.